If you know anything about combat sports at all, you were probably watching the Floyd Mayweather vs. Conor McGregor fight on PPV. Though everyone watching saw the same footage, it seems there are differing views on what went down. I’d like to take the time to put some things in perspective. Right off the bat, I’ll admit to being biased. I’m a McGregor fan, and I’ve been one since his knockout fight against Siver in 2015. That said, I think I can still make some observations that don’t need to be colored by fandom here. First off, Mayweather won and nobody can take that away, but my goal is to point out that there are a lot of people playing revisionist with what happened last night. One major thing that you’ll be hearing about this fight is that Mayweather’s plan went perfectly. You’ll hear that he tired McGregor out and then won easily. This is a half-truth at best. McGregor did fatigue by the end, but it was not by any means a perfect match for Floyd. He did not plan on taking an uppercut to the face, he did not expect McGregor to dodge so many punches, he did not expect to have to be as aggressive as he was, and he did not think that McGregor would land as many jabs. The judges scored the fight so that Mayweather won 2/3 of the first rounds of the fight, but that doesn’t make sense. The man factually did practically nothing but eat punches for the first three rounds. The other major thing you’ll hear is that McGregor "never stood a chance" and could never win a fight like the one he had. This is also untrue. McGregor lost last night because he was not used to going a full boxing match, but something similar happened with his fight against the heavier Diaz in their first fight, and in the rematch Conor went the distance and won. 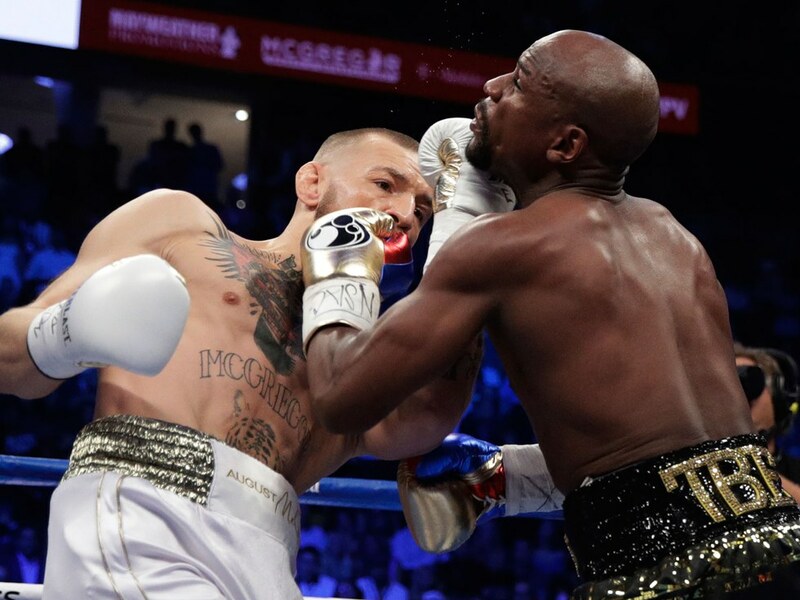 In this Mayweather match, he lasted until the tenth round against the undefeated champion of the sport- better than what most full-time professional boxers do with a lifetime of experience. He had said champion covering his head and turning around. To say that he could never best Mayweather is dishonest. What happened happened. It wasn’t ideal for McGregor fans, but he put up an exceptional fight against one of the best and he did not make it easy for Mayweather. I believe he’s done not just the Irish, but all of MMA proud with his performance, and that should not be written off. He walked into the boxing ring and held his own against a champion. I'd like to see a boxer do that in the octagon. There's more to Lebron James than basketball. While Lebron James is considered to be one of the best athletes ever based on his commitment to excellence, his conditioning, and the number of championships he has won, the impact he has made on his community that is being felt all over the world. He may be a basketball player, but he is a businessman, father, philanthropist, and role model to people no just in his community but all over the world. This is why Lebron James is one of the greatest people I have ever seen in the world of the NBA. Since the age of 15, Lebron James has been under the spotlight as "The Chosen One" and struggled through the trials and tribulations growing up in Akron, Ohio. However, he has defied the odds not because of what he does for the NBA in terms of marketing and championships, but what he does for his community and the world. The Lebron James Foundation has given over 2000 children the opportunity to receive a full education, with the resources of over $41 million that Lebron James has contributed out of his pocket. He is giving children who don't have the resources that other children may have and to make sure they are the best version of themselves in their own way. This is what makes Lebron James "Strive for Greatness" motto mean more to people outside of the NBA. This is a motto that every child all over the world should live by, to be the best version of yourself, and Lebron James is providing the resources to those who may not have them. Lebron James has provided a lot of happiness and a boost in the economy in the city of Cleveland, playing there for over 10 years. But he did go on national television, had his own special called "The Decision" and said he was going to Miami. This is the only stain that Lebron James has on his career, other than that he has been exceptional. He mostly redeemed himself when he came back to Cleveland and promised them a championship. He delivered on his promise by giving the Cleveland Cavaliers their first-ever championship in 2016. All of us know that Lebron James left Cleveland last offseason to join the Los Angeles Lakers, but he came back to Akron, Ohio and opened the I Promise School for 240 at-risk children. This school helps give students an escape from their issues that Akron, Ohio is currently facing, and they offer activities to make sure that they don't go down the wrong path. This school also provides services to the families of the children who attend this school such as finding a job and an on-site food bank. This is why Lebron James is one of the best people in the world because he exudes perfection and he knows where he came from.